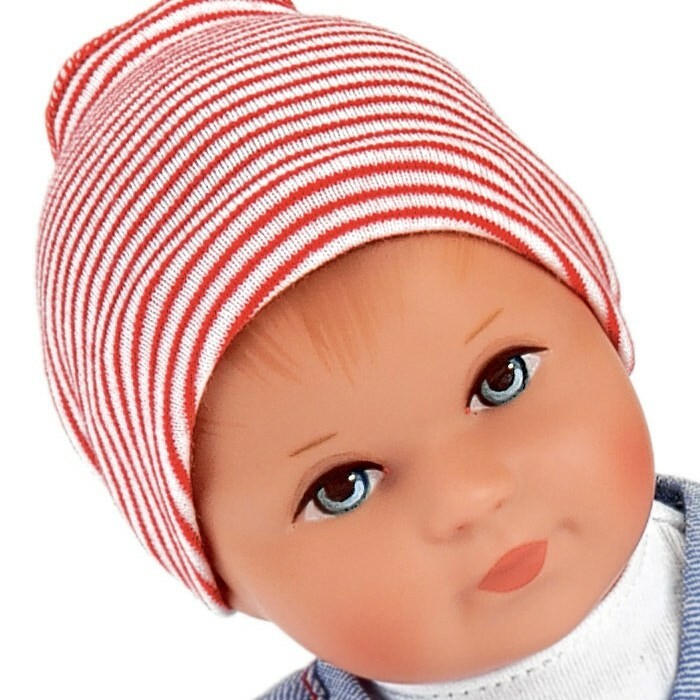 Marta, a Mini Bambina series 13 inch baby doll, wears an embroidered blue dress with a white blouse and matching striped hat. 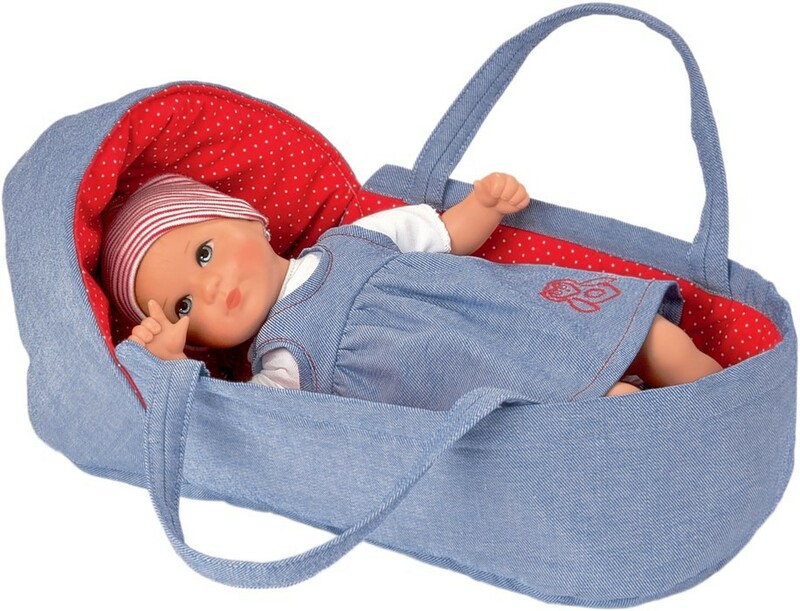 She comes with a cozy carrier for traveling or for sleeping. 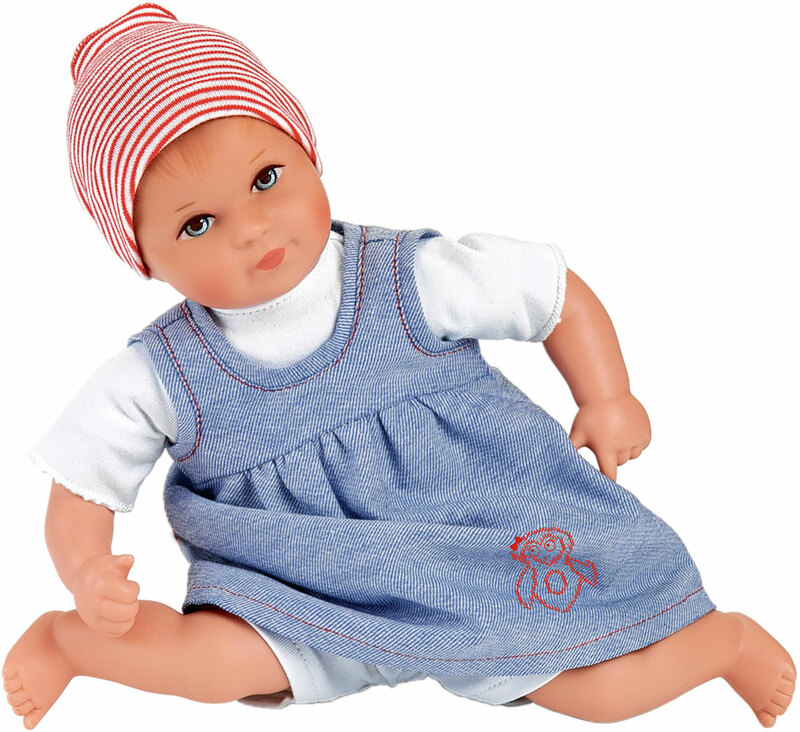 She has a soft cloth body and high quality phthalate free vinyl arms, legs and head with hand painted brown hair and facial features. 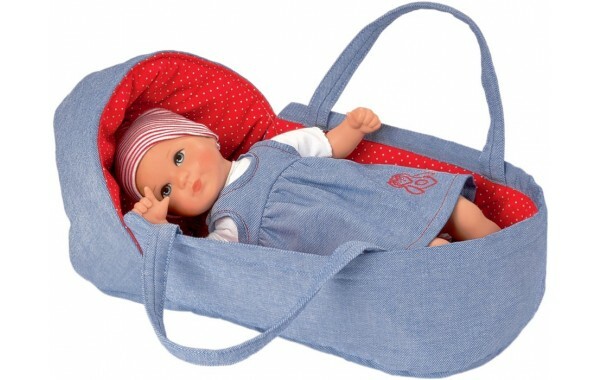 Marta's cloth body is weighted to give a natural feel in your child's arms. She has a movable head with dangling arms and legs. White undergarments are included. Packaged in an attractive display window box.